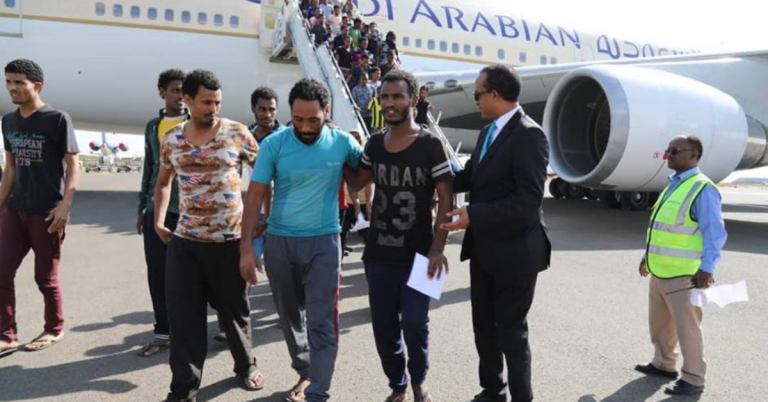 The Ethiopian Ministry of Foreign Affairs on Tuesday said it had repatriated 65,000 of its nationals stranded in foreign countries in the last six months. The News Agency of Nigeria (NAN) reports the ministry’s statement issued in Addis Ababa. The statement claimed it had repatriated stranded nationals, who were using three illegal migration routes with plans to reach their final destinations in Europe, the Arabian Peninsula and South Africa. The ministry further said in early January 2019 alone, it had repatriated 690 of its nationals, who were stranded in Yemen. In recent weeks, hundreds of Ethiopian migrants have also been repatriated from Mozambique, Tanzania, Libya, Sudan and Djibouti. It is estimated that thousands of Ethiopians are trafficked into foreign countries annually. Similarly, Ethiopia is to commission the Chinese built Debre Birhan industrial park by the end of February, state media outlet Amhara Mass Media Agency (AMMA) reported on Tuesday. Debre Birhan industrial park constructed by China Communications Construction Company (CCCC) at a cost of 71 million dollars is expected to create job opportunities for about 1,000 Ethiopians once it begins operations, reported AMMA. Stretched on 75 hectares of land, Debre Birhan industrial park will have eight industrial sheds ready to accommodate prospective investors once it’s fully commissioned. Lelise Neme, CEO of Ethiopia Industrial Park Development Corporation (IPDC), said Ethiopia aims to commission six industrial parks, including Debre Birhan industrial park, before the end of the current fiscal year 2018/19, in July. “Ethiopia has invested around 1.3 billion dollars in the construction of around a dozen industrial parks, which it sees as a key strategy of achieving Ethiopia’s industrial ambitions,” said Neme. “Ethiopia has so far built and commissioned five industrial parks and with the anticipated commissioning of six more industrial parks in 2018/19, Ethiopia’s industrialisation ambitions will receive a massive boost,” Neme said.